I planned to row Follow the Drinking Gourd in February since it’s Black History month emphasizing Civil Rights and treating others with love and kindness. We started reading this book around Valentines Day. Love in action was a continuous theme throughout this row. I set out paper, stickers, and crafting supplies so the kids could make cards. We read The Legend of the Valentine. The kiddos enjoyed making valentines for the family. This was a light school day, filled with Valentines, sweets, and crafty fun! I set out a Valentine’s Day themed sensory bin for the kids. The kids had fun playing together with all the Valentine’s sensory materials! I chose to memorize I John 3:18 for this row. 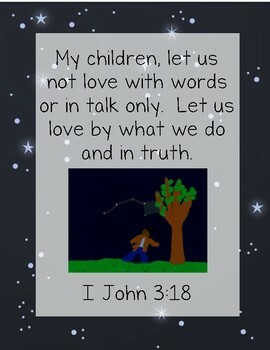 I created a Bible printable pack for Jordan memorize. You can purchase it here at our TPT Store! Jordan used the puzzle to help memorize the verse while rowing this book. We read Gilly Greenweed’s Gift for Granny – A Story About Showing Love as well as many more picture books about Valentine’s Day and love. It was nice being able to take our time reading through our stack of Valentine’s Day books. We brought out our Helpful Hal’s Treasury of Christian Virtues again, but this time we focused on kindness. We read Suzy Swoof: A Story About Kindness. The kids love the stories from this book! Afterwards, we played a few rounds of Valentine’s Day Bingo (crazylittleprojects)! I purchased If You Were a Kid During the Civil War to read with Bub. He loves reading about historical events, especially those that involve Abraham Lincoln. This was a great book for him! We read If You Lived When There Was Slavery in America with Haley and Jordan. It was packed with information which worked well with the older kids. We also read Henry’s Freedom Box. This was another wonderful freedom story. We read The Quilting Bee and The Patchwork Quilt. Both books used examples of quilt patterns used by the underground railroad. I brought out our felt quilt patterns Haley used in Sonlight Core E.
Bub LOVES the hands-on activities. This activity paired nicely with our Underground Railroad read-alouds. Last, but NOT least…We read January’s Sparrow…there are NO WORDS. I cried reading this book. Patricia Polacco is a wonderful story teller and she will have you spell-bound! One word of advice; please read it yourself first, because it may be too heavy for some kids. We read several wonderful books about civil rights and learned about many influential men and women involved in this movement. We also watched clips from our Follow the Drinking Gourd playlist about Martin Luther King Jr. and Harriet Tubman. 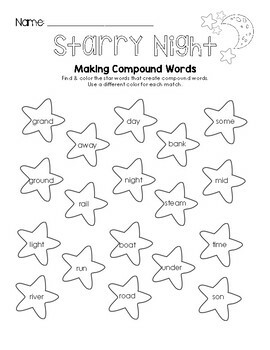 I created a quick compound words worksheet for the boys to work on. Later, I posted a printable version at our TPT Store. The boys used their dot paints to match and create compound words. We briefly talked about spirituals, using the FIAR Teacher’s Manual as a reference. I added a few clips to our playlist too. I found He’s Got the Whole World in His Hands which was the perfect book to complete our lesson on spirituals. I made a heart-themed breakfast for the kiddos to eat while I read the story aloud. This week’s Favorite Poems of Childhood poetry reading was Mr. Coggs, Watchmaker. This went perfectly with our unit on time. 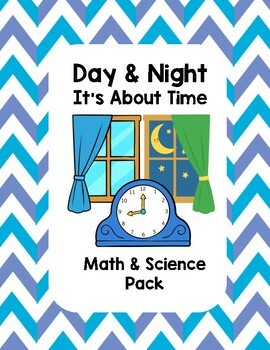 I created an It’s About Time math unit for our Owl Moon row. We read A Little at a Time and Jordan worked on some of the close reading time worksheets. We also read Clocks and More Clocks and Jordan added a Roman Numeral clock in his lapbook. We read several books about stars and constellations. The boys picked out some of their favorite constellations and used white crayons to plot out the stars. Afterwards, they used their watercolors to paint the constellation backgrounds. It was a fun twist on a “crayon resist” art project. I set out a Create Constellation tray on Learning Lane. I set out our geoboards, constellation cards, and rubber bands. The kids took turns creating various constellations. Haley LOVED the constellation activity so much she used the constellation cards to create her own constellation art with her ipad. We also watched a great Constellations clip on our Follow the Drinking Gourd playlist. I set out several “Create Constellation” activities on Learning Lane this week. Parker used his light up board to create constellations. We turned out the lights to see his “Big Dipper” constellation. SO cool! Jordan used the black felt with mini white pom-poms to create some of his favorite constellations! Everyone REALLY enjoyed this science unit. I set out a Cotton tray on Learning Lane. I added some cotton plants, cotton fabric, and our Cotton – Where They Come From cards (The Helpful Garden). We read From Cotton to T-Shirt and I handed Bub the cotton cards. Jordan put the cards in order and we took a closer look at the cotton plant. We watched a few videos and looked at several photos of the cotton gin. Bub had fun dissecting the cotton. It’s always fun to explore learning with multiple senses. The runaway slaves often hid in the woods, crossed rivers and lakes on their journey to freedom. I thought it would be fun to read about some of the landforms and habitats mentioned in the book. We read about lakes, rivers, and ponds on our Epic app. The boys added some landform inserts (Mrs. Jone’s Creation Station) in their lapbooks. We read about forests and trees on our Epic app. The boys added a Forest habitat insert (Mrs. Jone’s Creation Station) in their lapbook. As with our other rows, we created a Follow the Drinking Gourd playlist with read-alouds, music, science, and other clips. You can find most of the activities, ideas, and printables from this post on our Follow the Drinking Gourd Pinterest Board.